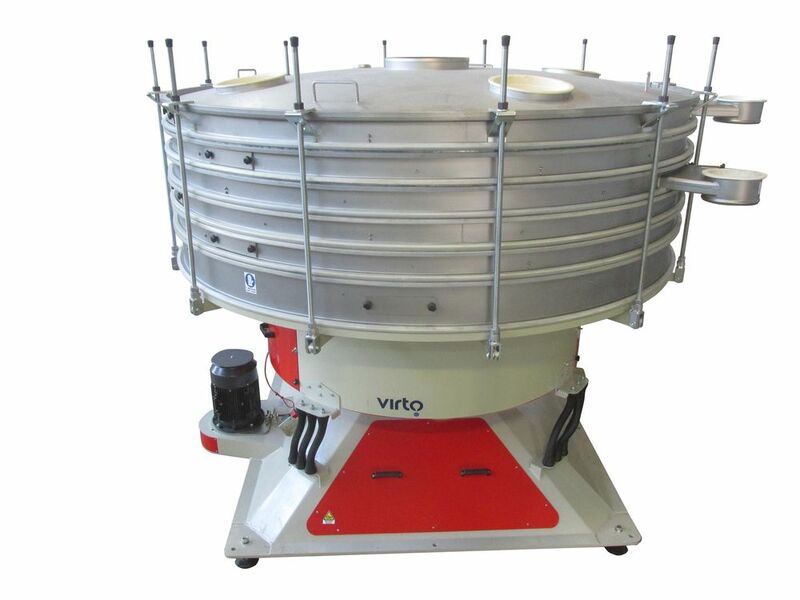 Virto Group, specialising in the supply of FDA-approved vibratory sieves and screening solutions for the food industry, provides customised solutions for all separation requirements. A widely used sieve in the food industry is the Tumbler sieve (VTU). Thanks to the unique 3D movement and its dimensions (up to 2.4 m in diameter), it is particularly suitable for multiple-deck separation (up to six separations simultaneously) of fragile food materials that require gentle screening with high capacities, up to 5 times greater than that of traditional sieves. The 3D movement allows to achieve up to 99% efficiency for a particle size range between 10 mm and 100 μm. The units can be manufactured in mirror-polished stainless steel.